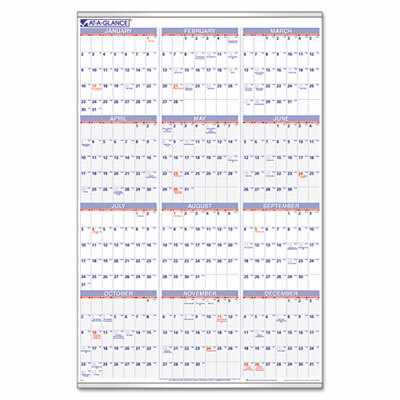 Great for tracking quarterly projects and scheduling vacations. Metal strips at top and bottom for stability and a finished look. Year-at-a-glance planning! Great for tracking quarterly projects and scheduling vacations. Metal strips at top and bottom for stability and a finished look.